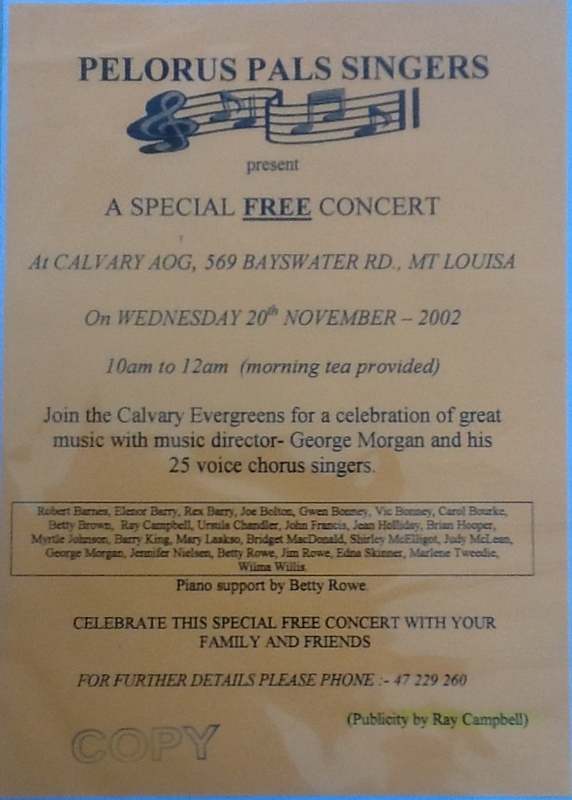 In February 1999, a small group of singers got together at Rex and Eleanor Barry’s house for a regular singalong with Jack Daly accompanying on the piano. It was agreed that the singalong would be held on Monday mornings. The original group consisted of Rex and Eleanor Barry, Jack and Betty Daly, George Morgan, Max ?, Joe Bolton, Brian Roche, and Ernie Prideaux. They practiced every Monday and in June they were asked to sing for an Irish Night at the German Club. Other members had joined but at this point there was no uniform or name for the group. 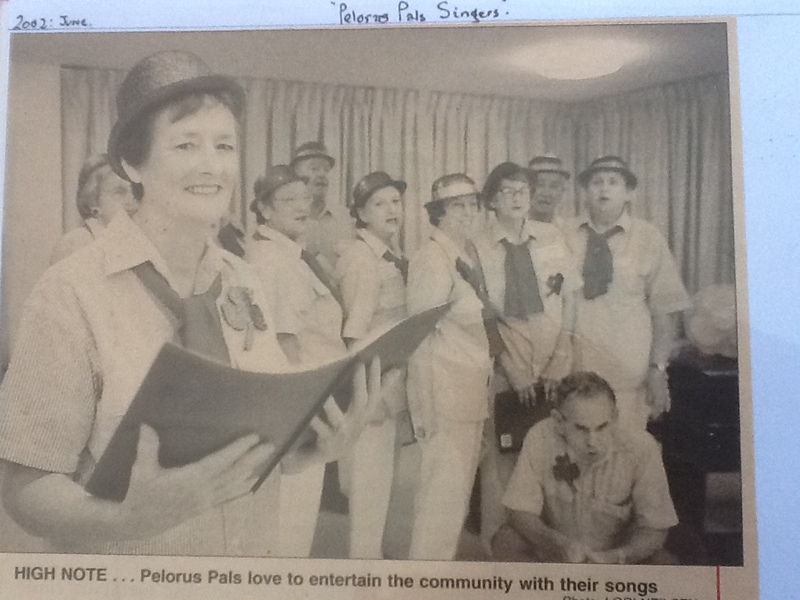 Jennifer suggested Pelorus Pals after the street address in which they were practicing, Pelorus Place. The group also decided on blue and white striped shirts for a uniform and after a while Judy McLean provided red crepe fabric and made scarves for the women to brighten the look. 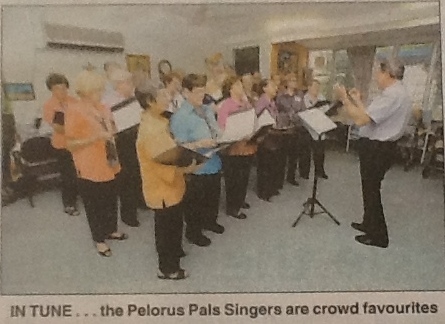 The Pelorus Pals have grown as a group both numerically and musically but the essential aims remain and they are to enjoy their singing and each others company and to bring pleasure through music to the wider community. 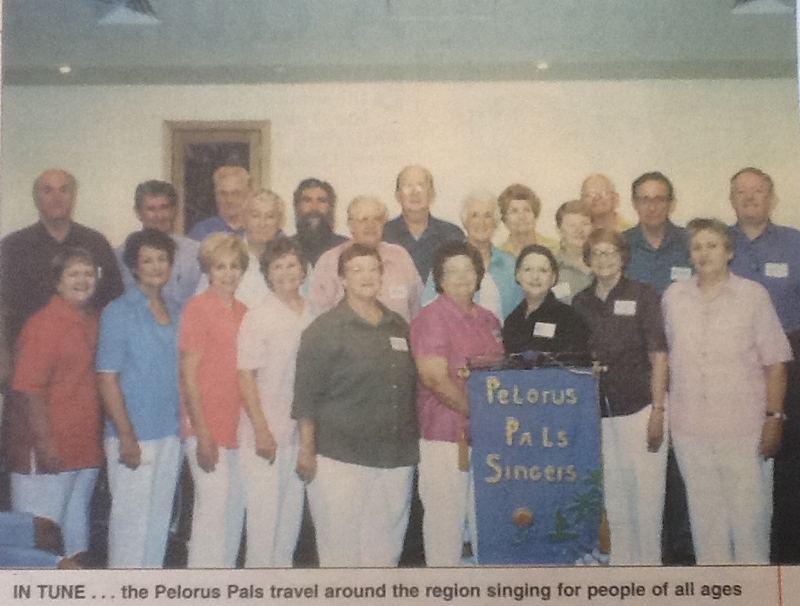 The Pelorus Pals now meet in the North Queensland Association For Blind Citizens hall in Hermit Park.